Being 15 years old, I jumped at the chance to review the new trainers from Skechers. When my friends saw me wearing them, they were so jealous, they loved them and all said that they wanted to buy a pair. They come in various colours and patterns and they start around £70.00 from Skechers.co.uk. They are so comfortable, I try and wear them everyday, I just wish I could wear them to school. They really look cool with all the sparkles on them and yes they also look very jazzie and live up to their name Gimme-Megabucks. Well done Skechers love them!!! 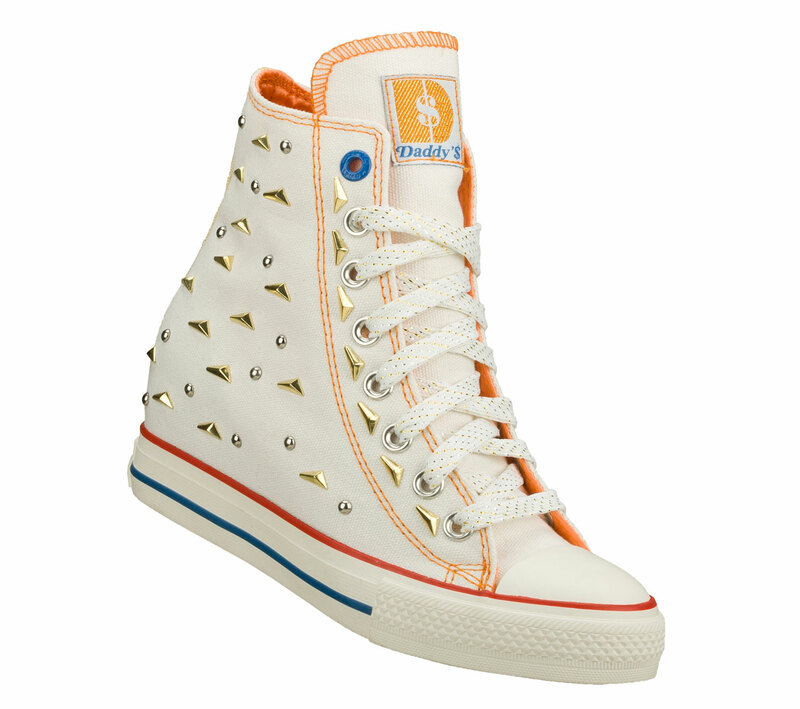 Strike it rich in fun fashionable style with the Daddy'$ Money: Gimme - Megabucks shoe. Soft woven canvas fabric upper in a lace up casual high top hidden wedge sneaker with stitching and metal stud detail.